You Can Make a Difference: Volunteers Needed for “Point in Time” Count of People Experiencing Homelessness in South Orange County! You can make a difference for people in need in South Orange County! I have just learned that the Point in Time count of people experiencing homelessness in our area (South Orange County) is critically short of volunteers. The Point In Time is a biennial count of people experiencing homelessness on a given point in time during the last ten days in January. The count provides vital information that helps the County better understand homelessness in the community and guides the way the County and its partners respond to homelessness in Orange County. Orange County will be conducting the 2019 Point In Time count on Wednesday, January 23 and Thursday, January 24, 2019. Please consider volunteering for this important community humanitarian effort! Volunteers are needed in the following roles for a successful effort: Team Captains, Field Surveyors, Deployment Center Support, Videographers and Photographers. Volunteer opportunities are available in the early morning and late evening. Sign up to volunteer and help shape homelessness services in Orange County! Registering to volunteer will take less than 5 minutes. Finding solutions to the homelessness crisis has been a priority for me, both as a member of the Irvine City Council and as Chair of the Irvine Community Land Trust. Councilmember Melissa Fox preparing to lead a meeting of the Irvine Community Land Trust. “Thank you very much for a terrific response. I did feel that there needs to be some additional information in the response, however, and Mayor Wagner touched on much of it, in particular the $29.2 million that we’re putting aside, as well as land, and the additional permanent supportive housing, potentially as many as 80 units, which we are set to break ground on in the very near future with the Irvine Community Land Trust. In addition, there’s another project stacked right behind the first project for the Land Trust, which will be unique in that it will provide an ownership for affordable housing, and all of this backed by services, so we will be creating permanent, supportive housing. Irvine has been a model in this area, and what I think the Grand Jury, and even our own response misses, is that the Land Trust concept is something that Irvine has pioneered. No other city has a Land Trust like we have, and other cities are working to copy ours. Our executive director is a national leader, and we have a great deal of experience in the Land Trust area, so I think what we have best to contribute to the ACC-OC (Association of California Cities – Orange County) and a potential Joint Powers Agreement is leadership. In Irvine, we don’t need an additional Land Trust. We already have one, and we paved the way, and we already have a vehicle to receive the funds that are ready to come forward from the State. The reason that the Joint Powers Agreement for a Land Trust for the County needed to be created is that the County didn’t have one. In Irvine, we already did. And so I would notify, and let the Grand Jury know, that we could be of assistance and leadership in this area. Our executive director for the Irvine Community Land Trust, Mark Asturias, is an executive director of the national Land Trust Alliance, and so he’s leading the way. Irvine City Councilmember Melissa Fox speaking with homeless people at the former Riverbed encampment with Assembly Member Sharon Quirk-Silva, Huntington Beach Councilmember Billy O’Connell, and Santa Ana Councilmember Michele Martinez. I also want to comment on the allegation of NIMBYism in Irvine, which I thought was very pejorative and unfair. Irvine has never said we don’t want to help homeless people in our community. Rather, we’ve said we’ll be the first to form this Land Trust and move forward with it. So just last year, Community Services Commissioner Lauren Johnson-Norris and I traveled with ACC-OC to San Antonio to look at what was really an exceptional program (Haven for Hope) helping the homeless community in San Antonio that has been held up as a model. We went with many other stakeholders. One thing we learned on that trip was that neighbors are important. And it was very important for the success of this homeless shelter in San Antonio to be located in a community that their services also served, to prevent the community members from becoming homeless. So the shelter has to be located in an area where the neighborhood is receptive, and sees it as a benefit because they’re providing social services to the neighborhood, they’re providing schooling, they’re providing medical clinics, they’re providing dental services, and so on. Location is very important, and what we heard our residents in Irvine saying is that there was a problem with placing homeless people in tents adjacent to the Great Park as proposed by the Board of Supervisors. And, in addition, what Irvine residents and the Irvine City Council said is that human beings should not be housed in tents with no water, no electricity, and no transportation. So, I think to denigrate Irvine and the residents who came together as not compassionate and full of NIMBY sentiment is absolutely incorrect, and we need to put forward that our residents came together, not only to say that they were opposed to the County’s tent city plan for a homeless shelter, but they literally hired their own attorneys to put together solution packages, and they came to the same conclusions that the experts did, that you must have permanent supportive services that go along with the housing. They weren’t just saying we don’t want it here, they said we want to help fix this program, and I think we can reach out to that same group to work with us on this issue. I have also traveled to Sacramento and worked with many of our legislators to increase the number of units that we can move forward with under the Land Trust by creating legislation (Senate Bill 1056) that would give us favorable tax treatment. You can read the Orange County Grand Jury Report “Where There’s Will, There’s a Way — Housing Orange County’s Chronically Homeless,” and the original proposed response of the City of Irvine here. As Chair of the Irvine Community Land Trust, I am extremely proud of the Land Trust’s most recent affordable housing accomplishment, Parc Derian, which brings 80 new units of housing for working families, veterans, and special-needs residents of Irvine. Perc Derian officially opened on August 3, 2018. Development to Help Fill Housing Need in Irvine, Calif.
Parc Derian will serve working families and others with special needs. The recently completed Parc Derian brings 80 units of housing for working families, veterans, and special-needs residents in Irvine, Calif. The development is a public/private partnership between C&C Development, Innovative Housing Opportunities (IHO), Lennar Corp., the city of Irvine, and the Irvine Community Land Trust. Developed on a 2.2-acre urban infill site as part of Irvine’s inclusionary zoning plan, the apartment community features almost a half-acre of open space, and residents are served by 5,000 square feet of community space with such amenities as a fitness room, a community room, on-site laundry facilities, and secured bicycle storage. A second-floor exterior podium deck encompasses a tot lot, an outdoor barbeque and fireplace pavilion, a swimming pool, and a community garden. Designed by KTGY Group, the $33.6 million Parc Derian is a four-story structure featuring contemporary architecture that incorporates urban-inspired elements and finishes and is designed to achieve a LEED Gold certification. It utilizes sustainable building methods such as low-e energy-conserving windows, water saving plumbing fixtures, and LED lighting throughout the property. Advent Cos. is the general contractor. Ranging in size from approximately 635 to 1,203 square feet, the one-, two-, and three-bedroom apartments have private balconies and patios and are designed to accommodate large families and special-needs individuals with household incomes between 30% and 50% of the area median income (AMI). Monthly rents range from $527 for a one-bedroom apartment to $1,218 for a three-bedroom unit, significantly lower than monthly rents for comparable market-rate apartments in the Irvine area. To provide housing for residents with special needs, C&C Development and IHO have partnered with Families Forward to set aside apartments that are designed for family households that are experiencing homelessness or are at risk of homelessness. Families Forward assists people in crisis to achieve and maintain self-sufficiency through housing, counseling, and education. The developers have also partnered with the Regional Centers of Orange County and United Cerebral Palsy to set aside apartments for developmentally disabled residents. The organizations help residents with disabilities reach their full potential, improve their quality of life, and foster an attitude of acceptance and inclusion. Residents will further benefit from social services such as health and education enhancement programming offered by Lighthouse Community Center and IHO. Parc Derian is an excellent example of public-private partnerships working creatively to provide affordable housing for Irvine’s workforce, according to Mark Asturias, executive director of the Irvine Community Land Trust, which provides land that is leased to developers such as C&C Development to build housing that will remain permanently affordable. The $33.6 million Parc Derian was financed with low-income housing tax credits from the California Tax Credit Allocation Committee, a construction loan provided by Bank of America Merrill Lynch, and a permanent loan through the California Community Reinvestment Corp. The housing tax credits, which were syndicated by National Equity Fund, generated approximately $18.4 million in equity. Additional financing was invested by the City of Irvine and Lennar Corp.
Posted in Uncategorized	| Tagged 17275 Derian Avenue Irvine, Advanced Property Services, affordable housing, Affordable Housing Finance, Bank of America, C & C Development, California Community Reinvestment Corp., California housing, California Tax Credit Allocation Committee, Chair Melissa Fox Irvine Community Land Trust, Christina Shea, City of Irvine, Donna Kimura, Familes Forward, housing, housing tax credits, IBC, ICLT, inclusionary zoning, Innovative Housing Opportunities (IHO), Irvine, Irvine AMI, Irvine Business Complex, Irvine California, Irvine City Council Melissa Fox, irvine City Council Member, Irvine City Council Member Christina Shea, Irvine City Council Member Melissa Fox, Irvine City Councilmember Melissa Fox, Irvine City Hall, Irvine city planning, Irvine community, Irvine Community Land Trust, Irvine Community Services, Irvine inclusionary zoning, Irvine inclusionary zoning plan, irvine Mayor Don Wagner, KTGY Group, LEED Gold certification, Lennar Corp., Lennar Corporation, Leon M. Napper, Lighthouse Community Center, Lighthouse Community Centers., Mark Asturias, melisafoxblog.com, Melissa Fox, Melissa Fox blog, Melissa Fox for Irvine, Melissa Fox Irvine, melissafoxblog, melissafoxblog.com, melissajoifox, Nancy Donnelly, National Equity Fund, Nghị viên Melissa Fox, Orange County and United Cerebal Palsy, Orange County housing, Orange County 市議員梅利莎福克斯, Parc Derian, Patrick Strader, permanent affordable housing, permanent affordable housing Irvine., Scott Wiener, Sharon Quirk-Silva, U. S. Department of Housing and Urban Development, veterans housing, veterans housing Irvine, votemelissafox, votemelissafox.com, 姜石熙, 尔湾市议员 Melissa Fox, 市議員梅利莎福克斯, 市议员梅利莎福克斯, 一員メリッサ・フォックス, 中国美国, 中國美國, العضو في المجلس ميليسا فوكس, عضو شورای ملیسا فاکس. Irvine, CA — Irvine City Councilmember Melissa Fox today received an award on behalf of the Irvine Community Land Trust for the opening of new permanent affordable housing in Irvine. The new housing project is Parc Derian, an 80-unit,100% permanent affordable housing community. Eight units (10%) are reserved for veterans, four units are reserved for “at risk” families through Families Forward, and four units are reserved for disabled individuals. Councilmember Fox is the Chair of the Irvine Community Land Trust. She has made creating more affordable housing a priority. 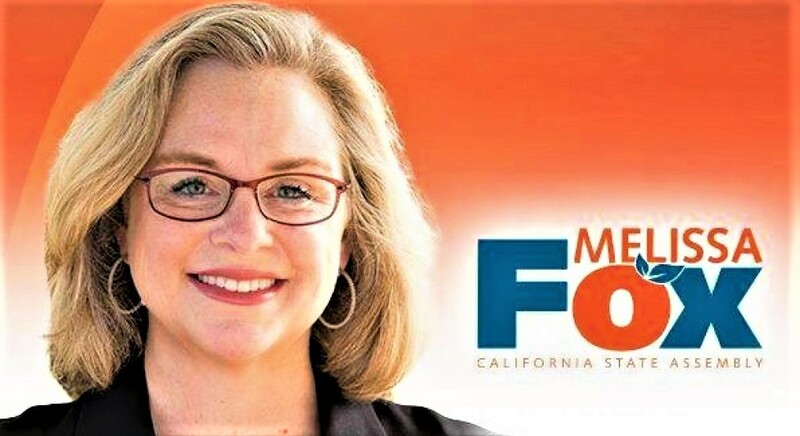 In addition to her work on the Irvine City Council and the Irvine Community Land Trust, Councilmember Fox has made numerous trips to Sacramento to testify before legislative committees and to work with the state legislators, including State Senators John Moorlach, Jim Beall, Scott Wiener, and Janet Nguyen, and Assemblymember Sharon Quirk-Silva on solutions to the California housing crisis. In addition to the Irvine Community Land Trust, other partners in the Parc Derian project included the City of Irvine, the U. S. Department of Housing and Urban Development, the California Tax Credit Allocation Committee, the National Equity Fund, the Bank of America, C & C Development, Lennar Corporation, Innovative Housing Opportunities (IHO), Orange County and United Cerebal Palsy, Familes Forward, and Lighthouse Community Centers. Parc Derian is located within the Irvine Business Complex (IBC). “Good afternoon and welcome. I’m delighted that you have come to enjoy the grand opening of our latest affordable housing project. Many of you may wonder what is the Irvine Community Land Trust and why are we involved in this project. The Irvine Community Land Trust was established by the City in 2006. We were the City’s homegrown nonprofit created to hold land in perpetuity for affordable housing. Three years ago, in partnership with the City and C&C Development, we started development of our second affordable housing project – Parc Derian. Today you see the finished product. But what you may not realize is that this property will always be affordable. This is because the Irvine Community Land Trust, as a nonprofit, holds land for the community in perpetuity. This was and is the vision the City had when it created the Irvine Community Land Trust. You have heard how Parc Derian serves families, special needs residents, and veterans. You will hear from some of these residents shortly. Remember, because of the Irvine Community Land Trust’s commitment to permanent affordable housing, these residents will never fear that they might be displaced from their homes because of market rate rent increases. These homes provide a high quality of life for today’s and tomorrow’s residents. And we have made these homes wonderfully affordable to residents with rents as low as $570 per month. Parc Derian gives individuals and families a sense of community; it is not a coincidence that “community” is part of our name. As we celebrate the successful completion of this project and the partnership we have with the City, we also look forward to our next housing permanent affordable developments. A new 80-unit rental project along Sand Canyon is in the design phase and should break ground this time next year. And looking beyond that project, we are anticipating more land and funding from the City to the Land Trust to create more permanently affordable housing. As the City’s nonprofit we will develop future properties and assure the community that they will never be lost or converted to market rate housing.